Cut and Loop carpet offers the visual appeal of both texture and pattern. Many of these styles are on the cutting edge of fashion today. Cut and loop carpeting is created by tufting some loops higher than others. When the carpet is sheared, the higher loop tufts are cut, but the lowers ones are not. The resulting cut pile tufts look darker than the loops, creating a pattern. Cut and loop carpet combines cut and looped fibers. It provides a variety of surface textures or sculptured effects. Cut and loop carpets are available in solid or multiple colors. The different levels in this type of carpet can hide dirt and footprints. Cut and loop or sculptured, as the name implies, this carpet style utilizes a combination of cut and loop pile yarns to create patterns or textures. Cut and loops may offer a pile surface that is predominantly cut with loops forming a pattern or predominately loops with limited cut yarns to display a pattern. This style offers both level and multi-level constructions. 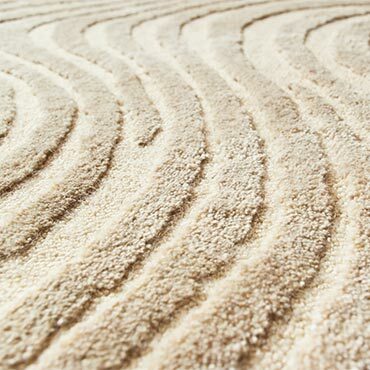 Cut and loop carpets tend to be the most reasonably priced carpet on the market. This fact makes them very popular with growing families who want to get the most for their investment. Wearability and design are the hallmarks of this carpet, adding to their popularity. The choices of style and color are endless for most leading carpet mills and distributors carry and extensive line of this type of carpeting.